In this book, Mr. Sanders discusses a way to combine the art of the deal with the science of the deal. And when art meets science it creates a storm. 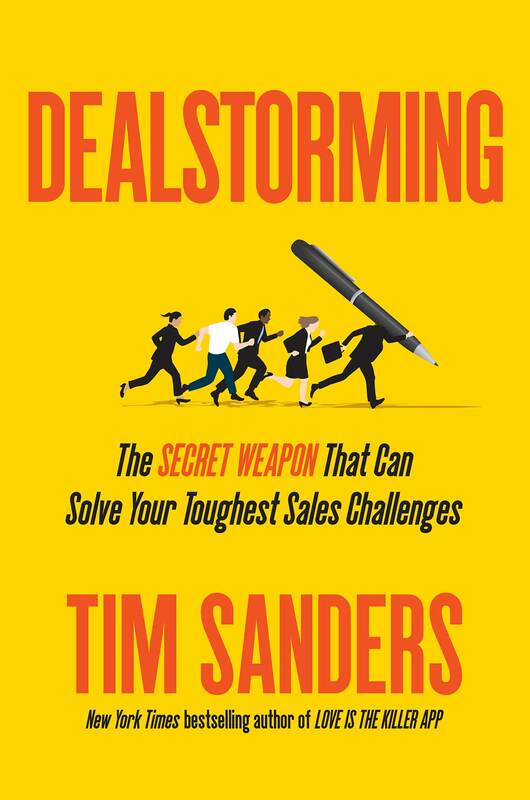 Dealstorming is Tim Sanders’s term for a structured, scalable method that can break through any sales deadlock. He calls it “a Swiss Army knife for today’s toughest sales challenges.” It fixes the broken parts of brainstorming and reinvigorates account management for today’s increasingly complicated sales environment. Dealstorming drives sales innovation by combining the wisdom and creativity of everyone who has a stake in the sale. As a B2B sales leader who knows that, despite your team’s best efforts, many deals get stuck or key relationships go sour. It’s the last thing you need when millions of dollars are on the line. This book will help you address the issues and get more deals to closure.